The Norva Centre Continues its Monthly Display of Work by Local Artists. The Norva Centre is presenting an exhibition of local photographic works through this month. 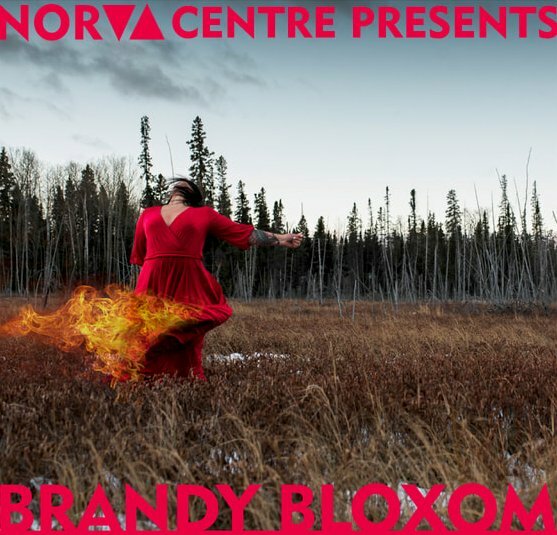 The Centre’s Karen Clark says it features the work of Brandy Bloxom and she has a number of photographs that she has done over the past few years featuring the red dress as a motif in the work and she’s going to have an art talk on Wednesday at 7 o’clock so they invite the public to come out to the Norva Centre to see her show and listen to her chat about her work. The exhibition is free and open during their regular hours from 10 to 5 Tuesday to Friday and 12:30 to 4:30 on Saturdays.